Must be 21 and over with valid ID to attend the tour. Reservations are necessary. Check the tour schedule & availability by clicking on the reservation link above. Reservations required one day in advance. Tour length is approximately 2 1/2 to 3 hours by vehicle. Travel back in time when Seattle was young and wild. Seattle had a split personality back then. Everything north of Yesler Way was considered respectable while south of that dividing line anything could and did go. At one point in time, there were 34 nightclubs on Jackson Street between 1st Ave and 14th. During Prohibition, the boys in blue were on the take, there was a new sound called jazz and you could get anything that you desired as long as you knew where to find it. 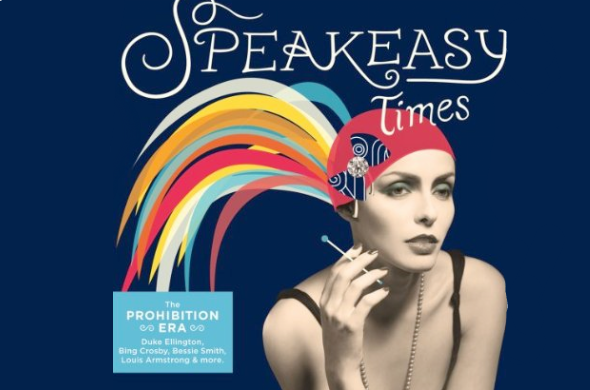 This was the age of the birth of speakeasies, women who shed their corsets as well as their morals and life in Seattle changed forever. The wild time continued thru the WWII years and then disappeared when the state liquor laws changed. Visit the sites of some of Seattle's infamous clubs, gambling houses, brothels and jazz spots. Meet some of the characters who were responsible for this thriving nightlife and hear their stories. You will see where female impersonators ruled, men could dance with men, and step inside the country's longest running gay bar. Tour the Chinatown area where clubs were on every corner with secret doors and passageways to allow escape during a raid. Travel thru the Central Area where you could hear the sounds of jazz playing both day & night and where all races mingled to drink, gamble & dance. In 1933 President Franklin D. Roosevelt said "What America needs now is a drink." We will stop at one of the neighborhood's cocktail bars at the end of the tour.